The CEO Sessions events are now no longer running. 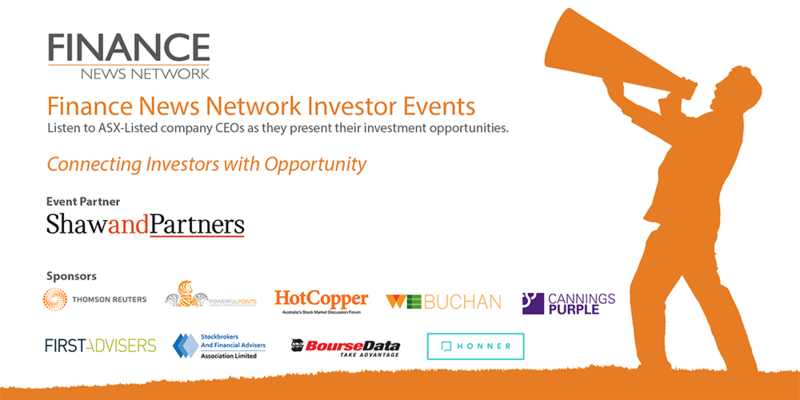 Finance News Network is now running FNN Investor Events. October '10 - Andy Semple explains what they are, differences from standard options and when they are used. September ‘10 - Andy Semple explains the differences between stock and index options and the advantages of trading an option with broad based exposure. August ‘10 - Andy Semple reminds us of all about the usefulness of a simple long dated call. Less risk than owning the underlying stock with built in protection at the strike price. Why not use a long dated call for your next buy and hold trade? June ‘10 - Andy Semple explains how to brings in two premiums writing out of the money puts and calls, potentially selling your stock for more or adding to your position for less than the current price. May ‘10 - Andy Semple explains how the Bull spread delivers a similar return to the protected buy write for a whole lot less capital. May ‘10 - 'AAA' Commercial Mortgages, MD, John Macalyk explains the pros & cons, citing Mike Tyson as inspiration. April ‘10 - Andy Semple explains why sensible gearing is a must and how to use it as a line of credit for options trading. February ‘10 - 'AAA' Commercial Mortgages, MD, John Macalyk explains what’s available and how to qualify. December 09 - Andy Semple takes us through an example of a BHP $38 Dec put where we receive 50c in premium. November 2009 - 'AAA' Commercial Mortgages, MD, John Macalyk explains the rules and advantages. September 2009 - 'AAA' Commercial Mortgages, MD, John Macalyk shows you where to get construction finance and the costs. July 2009 - MD, John Macalyk, 'AAA' Commercial Mortgages takes us through the valuation process using an example of a commercial property in Randwick, NSW as a case in point. MD, John Macalyk, 'AAA' Commercial Mortgages shares his considerable experience, looks at several properties and explains why he favours variable over fixed rate funding.